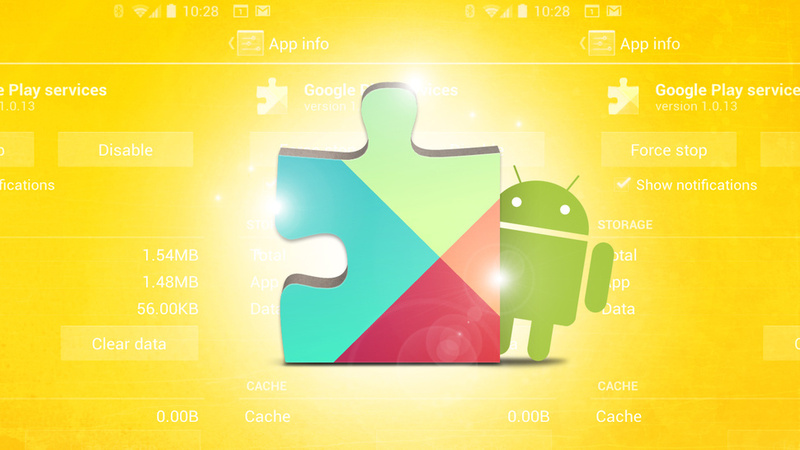 As we all know the importance of Google Play Services for the green robot aka Android. Last week Play Services has received an update to v6.1: nothing sensational, but the APK contained many new hidden strings that give us an indication of future functionality that could be introduced. Let's assume for now that this type of claim usually turns out to be reliable, nothing is final until it's official, then we have to wait before you rejoice. Data transfer from device to device - Another of the most interesting thing was there is something similar to Motorola Migrate made ​​in Google , some of you will remember in relation to Android Silver. In practice we will use the NFC or maybe even to pair two Bluetooth smartphone and they will move their accounts, apps and app data. 1 Make sure your other device is on and unlocked. Authentication - Authentication in two steps is not fully integrated in Android yet, but in the future it could be: Google announced at I/O that they will be focusing on safety and thanks to Play Services will prevent our account from being stolen. For example, if someone tried to log in to our account from an unknown device, then we would see on the other we logged a request that asks us to confirm access. Easy unlock - This is not a real surprise this we knew it would come since it was talked about on stage at the Google I/O: when we are close to a PC or to a Chrome OS or even a Android Wear smartwatch, you will not need to enter a combination to unlock. Advertising on the calendar and gallery - Although the title may worry, it does not seem to be anything serious. If you're interested then it will add the event to your calendar, but only after having requested permission explicitly. Nearby - In the past we talked Nearby, the future mechanism for sharing your location, which at this point seems to be in the home stretch now. We will also use this feature in games, in order to challenge our friends in the same room quickly. <string name = "games_nearby_players_confirm_dialog_message"> Whenever you search for nearby players, Google will temporarily Play Games and turn on Use the following technologies to find players: Your location, microphone, speaker, Wi-Fi and Bluetooth. <U> Learn more </ u> ". Other - Integration of Hangouts for shops on Google Maps, tips to help pages, references to Android Auto and sharing temporary position. There is a bit 'of everything in this APK Google Play Services and we hope that many of the changes which we have talked about today may soon come true; Finally, we leave you with a little 'unfailing humor by the engineers'.